SPOILER-FREE! Its been 15 years since Derek Zoolander first walked down the cinematic catwalk into our lives. The original Zoolander, was panned and left for dead by most critics. It became an unexpected cult hit after a mediocre theatrical run thanks to its off-beat humor, celebrity cameos and repeated catchphrases. 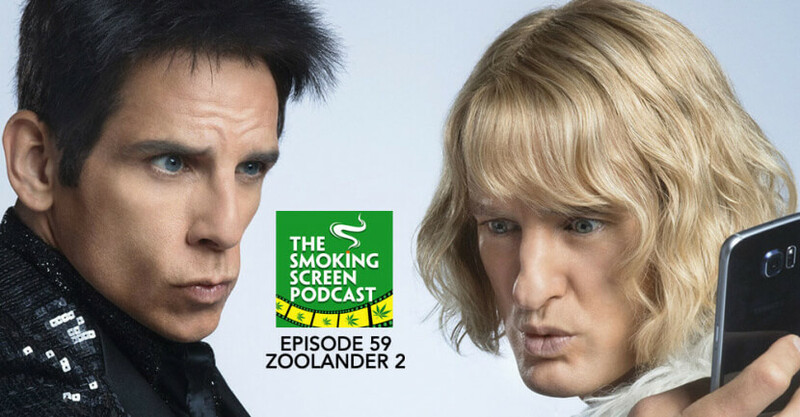 Despite all odds, Ben Stiller (Derek), Owen Wilson (Hansel) and Will Ferrell (Mugatu) reprise their infamous roles 15 years later in Zoolander 2. Does the sequel depend on the same jokes from when George W. Bush first took office? Do we still find intellectually challenged male models funny? Are the cameos a great addition or a distraction? Is it better (hotter?) or worse than the original? We discuss all this and more in Episode 59 of The Smoking Screen Podcast. Come join the circle!